The new paper machine will produce testliner and corrugated medium with basis weights in the range of 90 to 250 g/m2 and have the capacity to produce 400,000 metric tons per year. April 10, 2018 – Voith said that it will supply Grupo Gondi with a new containerboard machine at Grupo Gondi's new Papel y Empaques Monterrey (PEM) plant in Northern Mexico. 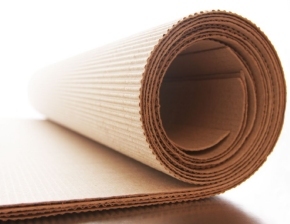 Eduardo Posada, CEO at Grupo Gondi said, “With the new paper machine, Grupo Gondi will strengthen its position in the Mexican market for high-performance light weight recycled containerboard. It will also enhance our integration levels since our converting capacity has risen in recent years as we have expanded converting plants and grown through acquisitions. “Voith will supply an extended scope of services, including the stock preparation, the paper machine, supporting sub systems and automation. Voith's ability to deliver an advanced, full-line, state-of-the-art system was very important to us and we continue to work closely with our partners at WestRock in connection with project planning and execution,” Posada said. According to Voith, the XcelLine paper machine offers a range of special technical features that both improve the quality of the finished paper and reduce energy consumption. The scope of supply also includes a Tandem NipcoFlex Press, a TopFormer F, and an EcoCal calender. Moreover, the PM 7 will be equipped with a VariFlex NG winder with an operational speed of 2,500 m/min, with MCS, DCS and QCS completing Voith's scope of delivery. Voith will supply the project with an extended scope, including detailed engineering for process, automation and electrical engineering. In addition to the paper machine and the BlueLine stock preparation system, MERI, a Voith company, will supply the major sub-systems — material handling, internal water treatment, sludge handling, and reject handling. Voith Paper, a Group Division of Voith, offers new machines for the production of graphic papers, board and packaging grades, specialty or tissue papers. The company also offers rebuilds, and pulp and paper related products and services. For more information, visit www.voithpaper.com.